We are all very familiar with what the economy is. Or at least we think we are. Itâ€™s where we earn and spend the money we use to get essential things like food and shelter. The economy is so familiar to us that, like fish in water, we hardly even see it for what it is. What we donâ€™t always recognize is that the money economy we have created is just one part of the way we organize our affairs. There is another, invisible economy that we take part in every day of our lives. It is the economy of home, family, neighborhood and community. We donâ€™t think of it as an economic systemâ€”but it is. It is so important that it deserves the name that economist Neva Goodwin gave it when she called it the â€œCoreâ€ economy. Why should we be concerned to know that home, family and community form an economy? Most importantly because many of our social problems can be traced back to the fact that the Core Economy has been damaged by the money economy. Recognizing that fact, Co-Production calls for a more healthy and mutually supportive relationship between the two kinds of economy. TimeBanks USA is committed to exploring more deeply the relationship between these two economies. In the money economy we take price for granted. We know that when goods are scarce, prices go up and when they are plentiful, the prices go back down. Gas prices at the pump are a great example. It is hard for us to think about the economy without thinking about price. Price is the way that our society uses to insure that we give and get â€œfair valueâ€ for what we buy, sell and trade. Because of price, the money economy does not value the kind of work it takes to create healthy homes, families and communities. Price is unable to mirror the social value of the work that we do in the Core Economy. In the Core Economy, exchanges are built on a sense of obligation and reciprocity, not price or supply and demand. Acts of pitching in, sharing, loyalty and loveâ€”not priceâ€”are the driving forces behind a healthy Core Economy. While the two economies work on entirely different principles, they rely on each other and are interdependent. A vital Core Economy of healthy children, functioning families, safe neighborhoods, viable communities, and strong civil society produces the workforce that the monetary economy calls on to generate goods and services. The money economy, in turn, produces other goods and services that we rely on for survivalâ€”food, shelter, clothing, etc. When either one of the two economies is in a downward spiral, we feel the effects across the board. The problem is that the partnering between the two economies often works in ways that damage the Core Economyâ€”and the major reason is price, the tool that the monetary economy uses to determine who gets what. When paid work consumes more and more of our waking lives, it is not only the homes, families and neighborhoods of the people on the lowest end of the financial spectrum who suffer. Mothers and fathers who work to care for and raise their children around the edges of their paid, working lives are only too clear about this. Many of us are struggling with too few social supports to maintain safe and vibrant communities, raise our young, and care for our elders. The second area of damage may be even more obvious to usâ€”and harder to deal with. We see how the monetary economy picks and chooses the people, communities and specialized skills it needs. Those with plenty of marketable skills and resources find it easier to get more. The people who do not have money or marketable skillsâ€”the poor, the elderly, the frail, the uneducatedâ€”fall between the cracks with no place, no role, and no money to buy what they need. Families and whole communities have been shut out of the mainstream economy over generations. The strain on them is immenseâ€”and frequently spills over into the society at large. Often, the Core Economy is on the front line, paying the real price. TimeBanking offers a way to tackle each of these two problems. It values the contributions of individuals who have been overlooked by the monetary economy and can be used to provide new entry points into the monetary economy. At the same time, it can rekindle age-old patterns of give and take to reweave the healthy families and communities that everything else depends on. In both these ways, TimeBanking helps build a healthier relationship between the Core Economy and the monetary economy. â€˜Co-Productionâ„¢â€™ is about working together for a strong community and more effective social services. It starts from the idea that services are successful only when the people being served are involved. Teaching is an example. A teacher will teach, but learning happens when students become engaged. That principle can be taken into almost every field of service. If clients donâ€™t become actively engaged in achieving a successful outcome, the service provider will not succeed alone. Time Banking takes the basic ideas of Co-Productionâ„¢ and builds on the fact that people naturally want to give back, to make a difference, just as professional providers do. With Co-Productionâ„¢ that giving back is encouraged. 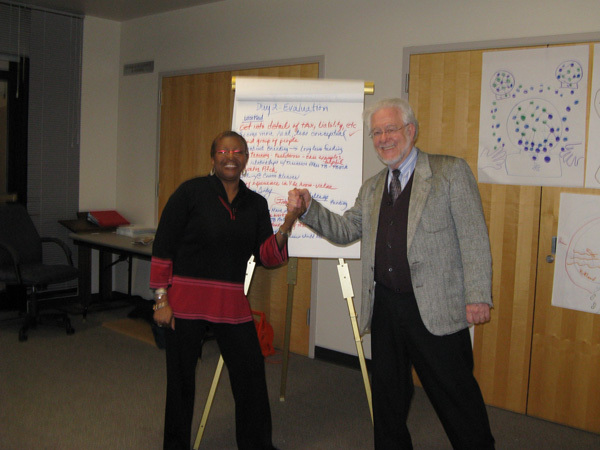 Recipients become partners and participants in building successful outcomes. Clients become valued as assets. Their contributions are valued â€“ and rewarded â€“ as real work. Reciprocity between clients and professionals leads to mutually rewarding support and stronger outcomes all round. Clients and service providers all contribute in ways that build a web of mutual support. There is respect for each and for what each brings to the table. An expanding number of professional service providers using all their professional training and skills to hold back an ever rising tide of need. They are operating within systems that do not solicit the active support of the people they are trying to help. Clients competing for scarce services and then consuming them in a sort of learned helplessness, taking little responsibility for themselves. Disconnected and powerless communities who are suspicious of the massive institutions around them and seemingly unaware that they hold the key to the collective efficacy that could change things. With Co-Productionâ„¢ as an approach, and with the Five Core Values in place, we know we can do better. Time Banking provides a way to put those principles into practice. It is not the only way to do that. But it is a very effective way. The partnership between professionals, clients, and community is basic to Co-Productionâ„¢. But there is another kind of partnership that is equally important. Thatâ€™s the relationship between the world of money and the world of home, neighborhood and community. For social services to succeed, these two worlds must also partner with each other to co-produce positive outcomes. We get a better sense of how to make that happen when we see how home and community act as a special kind of economic system. 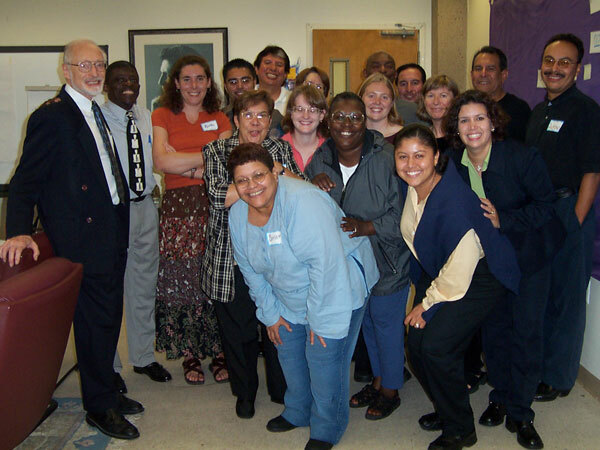 For more on Co-Productionâ„¢ and the economic theory that underlies it, you can read No More Throw-Away People, Edgar Cahnâ€™s book about Time Banking and Co-Productionâ„¢.